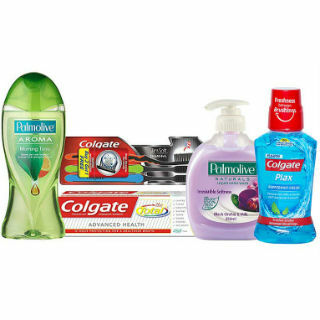 Get Add 2 Colgate Products get extra 25% off from Amazon Pantry. Here you can purchase colgate total toothpaste, colgate slimsoft toothbrush, a mouthwash as well as a bodywash and handwash. Also get Flat 10% cashback on purchase of Rs 1000 or more from Amazon Pantry. Max cashback Rs 150. Offer valid on payment with Amazon Pay balance.